The period of time required to reduce a debt to zero when payments are made regularly. A lending institution authorized by the Government of Canada through CMHC to make loans under the terms of the National Housing Act. A mortgage payment includes principal and interest. It is paid regularly during the term of the mortgage. The payment total remains the same, although the principal portion increases over time and the interest portion decreases. A certificate that must be obtained from the municipality by the property owner or contractor before a building can be erected or required. Costs, in addition to the purchase price of the home, such as legal fees, transfer fees and disbursements, that are payable on the closing date. The date the sale of a property becomes final and the new owner takes possession. <?xml:namespace prefix = st1 ns = "urn:schemas-microsoft-com:office:smarttags" />Canada Mortgage and Housing Corporation. An offer to purchase that is subject to specified conditions. ie, arranging a mortgage. A mortgage which secures a loan by way of a promissory note. A mortgage loan up to a maximum of 75% of the lending value of the property. A clause in a legal document which, in the case of a mortgage, gives the parties to the mortgage a right or an obligation. A legal document which is signed by both the seller and the buyer, transferring ownership. This document is registered as evidence of ownership. Failure to abide by the terms of a mortgage loan agreement. Money placed in trust by the purchaser when an offer to purchase is made. A document signed by the lender and given to the borrower when a mortgage loan has been paid in full. The portion of the house price the buyer must pay up front from personal resources before securing a mortgage. A right acquired for access to or over or for use of another person’s land for a specific purpose such as a drive way or public utilities. The difference between the price for which a home could be sold and the total debts registered against it. The percentage of the borrower’s gross monthly income that will be used for monthly payments of principal, interest, taxes, heating cost and half of any condo fees. A mortgage loan in excess of 75% of the lending value of the property. This type of a mortgage must be insured against payment default. An amount of money withheld by the lender during the progress of construction of a house to ensure that construction is satisfactory at every stage. A date from which interest on the mortgage advanced is calculated fort your regular payment. The purchase price or market value of a property, which ever is less. A claim against a property for money owing. The ratio of the loan to the lending value of a property expressed as a percentage. 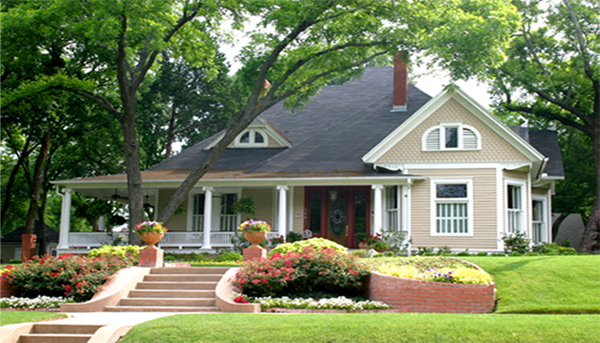 Your lender will require mortgage loan insurance if your mortgage is a high ratio mortgage. This insurance that if you die your mortgage will be paid in full. A regular scheduled payment that is blended to included to include both principal and interest. A written contract setting out the terms under which the buyer agrees to buy. A document stipulating that, a specified individual is to be given the first chance of buying a property at or within a specified period of time. Principal, interest, taxes, and heating costs. To pay off a mortgage and arrange for a new mortgage, sometimes with a different lender. A balance sheet statement indicates credits to the vendor, i.e. The purchase price and any prepaid taxes and credits to the buyer i.e. The deposit and the balance due to closing. A document that illustrates the property boundaries and measurements specifies the location of the buildings on the property and indicates any easements or encroachments. The period of time the mortgagor pays a specific interest rate on the mortgage loan. A freehold title gives the holder full and exclusive ownership of land and buildings for an indefinite period of time. In condominium ownership, land and common elements of buildings are owned collectively by all unit owners while the units belong exclusively to the individual owners. The percentage of gross monthly income required to cover all monthly payments for housing and all other debts such as car payments. Mortgage financing arranged between the seller of the property and the buyer. The title is transferred to the buyer. Often this type of loan is a second mortgage which the seller is willing to arrange to ensure that the buyer can purchase the house.